America becomes the endpoint of a European family’s transgenerational journey through upheaval, religious persecution, and endless domestic labor in this debut historical novel. The story begins with a lugubrious bang when Pierre de la Vigne, a woodcarver in Valenciennes, part of the Spanish Netherlands in 1535, returns home from a business trip with bubonic plague and dies in his father Nicolas’ arms. Ever practical, Nicolas quarantines himself in the workshop and spends his last days bludgeoning the hundreds of rats swarming around him. That opening introduces prominent themes in Alley’s epic: the constant threat of sudden death; the verminous filth of a time before modern sanitation; and the importance of the close-knit patriarchal family, which accomplished many things now done by corporations, schools, and churches. The resilient de la Vigne clan is thus the collective main character as it moves on with second son, Emile, as head of the business and a household including his stepmother, Maria, widowed sister-in-law Louise, and younger siblings. They prosper over the decades, but the Reformation fuels conflict within the family—Emile and Louise marry and convert to Calvinism while Maria clings to Roman Catholicism, provoking tense theological discussions—and between the Catholic Church, a snake pit of corruption in the novel’s telling, and the city’s burgeoning Protestant population. When a Catholic governor orders the conquest of Valenciennes in 1566, Emile is arrested and the family faces exile. 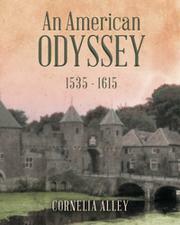 Jumping ahead to the early 17th century, the narrative refocuses on Emile’s grandson Guillaume; with Valenciennes prostrate under the Jesuit boot, he heads to Protestant Amsterdam to seek his fortune and finds it when he and his wife cross the Atlantic to start a fur-trading post in frontier Mannahatta. Along the way, there are plenty of household chores, which form the sprawling tale’s central action. Whole chapters are consumed in preparing meals, securing coal and wood for the fire, teaching kids their Latin and math, and sewing clothes and darning underwear. These scenes are well-researched and meticulously detailed, and they amount to a kind of Annales school of historical fiction that conveys an engrossing sense of life in its fullness in a distant time and culture. The resulting gusher of period lore, illuminating everything from the protocol of ferry travel to the procedural of printing presses, is spiced with a little bawdiness (the era’s typical four-to-a-bed sleeping arrangements make every tryst common knowledge) and some exciting adventures, including a transvestite prison break. With so much time, history, and theology to cover, Alley’s dialogue often bogs down in exposition—“The earliest beginnings of this nasty situation were easily traced back to the Hapsburg rule, Alva, Marguerite of Spain and the Spanish Inquisition”—but she also pens poetic passages: “Into the muted bird song and surrounding silence, the sound of one miniature bell, otherworldly and distant, began to call the hour of Vespers.” Mostly she writes workmanlike prose about ordinary people doing ordinary but vital things, deftly portraying both the richness and organic solidarity of life in the Old World and the precariousness and chafing restrictions that drove people to the New. A vivid, absorbing tale of Europe painfully shaking off the shackles of the past.